So … a routine email from Europe, and scaling down FishDuck.com to take a break may have changed everything? I and many of the writers might come back and produce five articles a week like before? It is an interesting story that involves all of you, and I am certainly open to your thoughts and feedback. As with the last football season, I didn’t see either of these events coming! I just wanted to pass along the thanks of myself and my entire Offensive Line. From the Kings Facebook page. 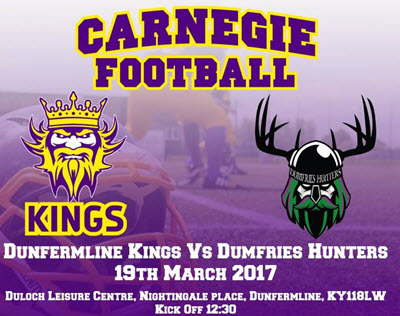 My name is Robert McDowall and I am the Offensive Line coach and left guard of the Dunfermline Kings here in Scotland, UK. After struggling with an outside run I took to YouTube for inspiration. I found your video on the Duck’s outside zone and after watching 4 more times and reading about I more, I decided to implement it. After a couple of training sessions we began to see immediate returns. It’s definitely become our go to play. We also took some Duck influence for our Inside Run, adding a zone read and adopting the Duck power into our Inside Trap. I would also add that your in-depth analysis and ability to explain in simple terms has helped me quickly learn the intricacies of the zone read run game. It was very kind of him to take the time to write, and we have received so many emails like this in the past, but this one came while I was taking some time away from the site and it got me to thinking in a big-picture kind of way. I am a schlub and know it; most of the information in the analysis articles and what I use to create my editorials comes from the coaching network I’ve created over the years. I am a typical fan like all of you, and because of the contributions of people like our own Grizzled Ol’ Coach did we create something special at FishDuck.com. This last fall I experimented with a new article profile: the Coach’s Op-Ed. In the past we have had coaches write up analysis articles, but not offer their opinions about Oregon football the way that I or other Op-Ed writers have done in the past five years in the history of the site. What a stupid move by me waiting so long! Is that coach wearing an Oregon hat in the Kings huddle? These coaches know more than the rest of us by far! Their opinions are not 100%, but they are 1000% more accurate and informative than any drivel that yours truly can come up with. Think of it; the GOC, Mike Morris told us about Vernon Adams long before anyone knew of him, told us of a quarterback at Eugene’s Sheldon high school that Oregon should offer (Justin Herbert) and came out and endorsed Willie Taggart as the best pick as Oregon Head Coach just two days after the Helfrich firing, and when everyone was still learning “Coach T’s” name. I could stay up all night and not come up with that stuff. If there was ever a season we need to learn from the coaches…2017 is it! We need coach’s opinions on the new offense, how Jim Leavitt runs his version of the 3-4 defense, and their perspective on how the players are carrying out their techniques in both analysis and opinion articles. 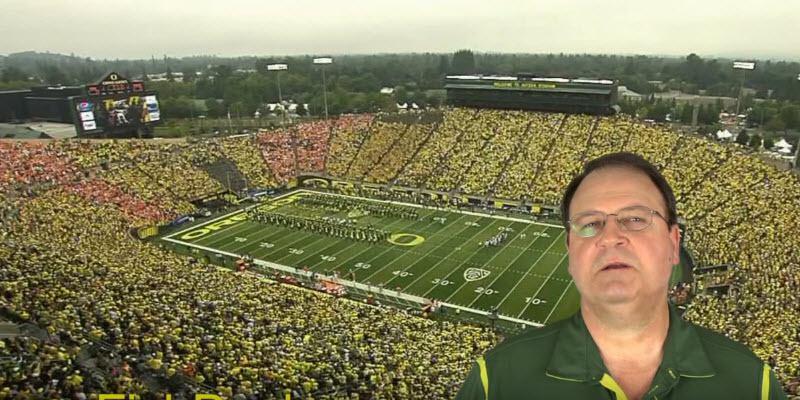 It will be a time of wonder and fascination learning about the new Oregon Ducks, and I really don’t want to read the blah-blah from know-nothing sportswriters, or frankly, fans like you and me. I want to learn from the coaches! But they have to be paid for their expertise …. especially with what I have in mind. We would have content and information unlike any other Oregon site, and you would have to pay for it. This would enable me to pay a few other writers, the editors, and most importantly a Managing Editor, who would take the million details from me to allow me the time to build the coaching network into producing quality and information not seen anywhere else. 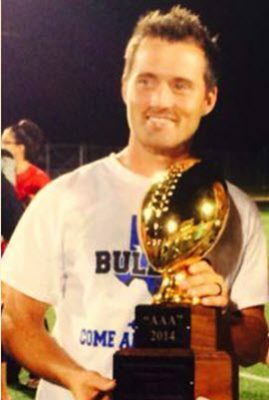 Coach Adam Sharp took the Texas Bullets from a .500 team to being rated #1 semi-pro team from help at FishDuck.com. You would still get great recruiting information, and a new recruit evaluation article that is highly informative like this one from yesterday. Add the usual analysis articles, the opinion pieces from coaches (and me!) 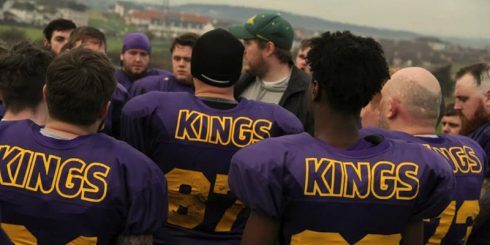 and another new profile article for the substantial reader lurking out there–the young coaches. We will have an article each week of Coaches coaching the young coaches, and while they learn from proven performers in their field–we get to be in the conference room as fans hearing the advice being given. But from my vantage point–this is the only way I can justify ramping up the site again, and the quality will be like never seen–even on this site. Our niche will be the small exclusive number of Oregon fans who want to learn and be entertained, along with young coaches who want to see the next phase of Oregon football, and who understand what they need to refine in their skills to become better at their craft. We have always had that crossover between the two segments, and it is time to focus on serving this elite group. I would hope you would join us. We are still in the “talking” stage, and it would take many months to pull this together … and I am thinking out loud to you. I want the readers to know what I’m pondering, and to let you know that something possibly much better than anything we’ve done at FishDuck.com is in the future. Please do comment with feedback, and you are welcome to email me at charles@fishduck.com with comments and questions.